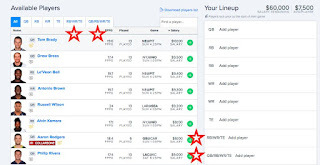 FanDuel has introduced a new challenge - the SUPERFLEX. It removes kickers and defense/special teams from DFS, adding a FLEX & SUPERFLEX position to lineups, while maintaining the $60k salary. However, some players have seen a change in salary!